Posted by Nick Verreos Labels: Actors with style, Men with Style, Ryan Gosling, Straight Men, Style Icon, Who Wore What? Love me some Ryan Gosling: My new Style Icon!!! 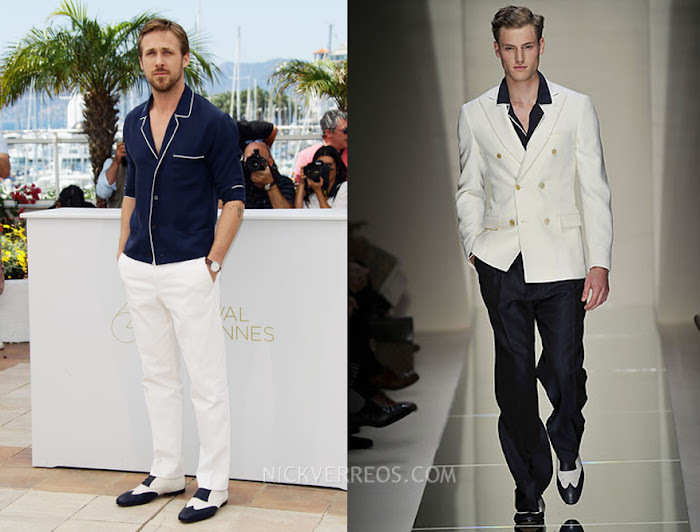 2 Responses to "WHO WORE WHAT?.....Ryan Gosling, my new Style Hottie"
Thank you for sharing. I hope its catching with more men in Hollywood. Who makes the navy shirt?